In the past month two major pieces of J R R Tolkien news have come out. First, Amazon’s buying of the rights to produce a multi-series show based on Tolkien’s Middle-earth, likely to cost $1billion. Second, a new Tolkien book, The Fall of Gondolin, set hundreds of years before The Hobbit and The Lord of the Rings, is to be published in August. HarperCollins would not be publishing a book if they didn’t think it would sell, nor would Amazon spend $1billion on something no one was going to watch. Clearly, Tolkien’s tales continue to be popular – absurdly so considering that The Hobbit was published in 1937 – but the question is why? What is it about these stories, other than the impeccable, velvety prose, that keeps pulling people back in? Tolkien’s influence can also be felt on two other major fantasy series, Game of Thrones and Harry Potter. Tolkien was a devout Catholic and his faith seeps into every word of his writing. The stories from Middle-earth are of good, evil and human frailty that echo the stories of the Bible, and the everyday battle that we encounter with ourselves, others, and the world around us. The author himself said that The Lord of the Rings is ‘a fundamentally religious and Catholic work’. In contrast to his good friend C S Lewis, Tolkien’s faith was not overtly displayed in his writing, but fundamental Catholic teaching is hidden throughout the epic. The true heroes of the story are the hobbits, the little, humble people who are pure in heart and stout in their bravery. At the end of The Return of the King all the high and mighty of Middle-earth, including the newly crowned king, bow down to the hobbits, perhaps an allegory of Jesus’s washing of the disciples’ feet and His constant exhortations to serve the poor. The Christian roots of Middle-earth can be discussed at great length, and The Silmarillion’s account of the beginnings of Middle-earth is explicitly influenced by Genesis. That Tolkien made it subtle in his best-known work, yet people still adore his stories, shows the transcendent attraction of these truths. On a subconscious level Tolkien’s tales of bravery, humility and loyalty resonate because we were created by God who lovingly inscribed these virtues on our hearts. 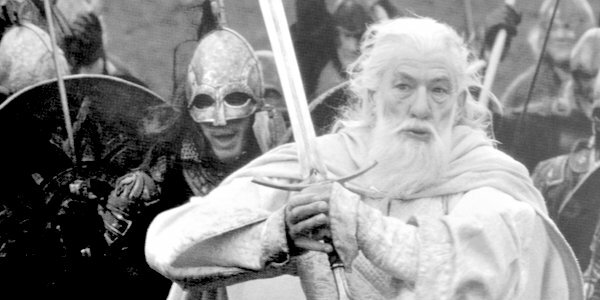 Readers are attracted to Frodo, Gandalf and Aragorn because they represent the three distinct aspects of Jesus’s ministry: priest, prophet and king. Jordan Peterson would say that Christ is the archetype of heroism in the Western canon but Tolkien would say He wasn’t an archetype but a real, living person and God who saved us with His resurrection. Through his three heroes, Tolkien reflects the inexpressible beauty of Christ, and to this redemptive glory people are drawn. It is testament to Tolkien’s genius that in a time of mechanised, atomised materialism with a large dollop of anti-Christian sentiment, his stories are still hugely popular. Tolkien’s masterstroke was to avoid obvious allegory but to instead integrate his Catholicism into the entirety of the world. His stories are somewhat behind enemy lines, easily misconstrued as simply fantasy, yet happily pumping religious themes into the subconscious of his readers. The effects of this can be profound. I, a former feckless, hedonistic, listless ingrate, would certainly never have returned home to Catholicism if it weren’t for the impact Tolkien had on my pliable mind as a young boy. Who knows who else out there will follow suit? It would be a delightful irony if Amazon’s purchasing of the rights to the series ended up making more Christians. I doubt that is their main intention.